In 4-quart Dutch oven, heat water to boiling. Add macaroni; return to boiling. Cook 5 minutes over medium-high heat, stirring occasionally. Do not drain. 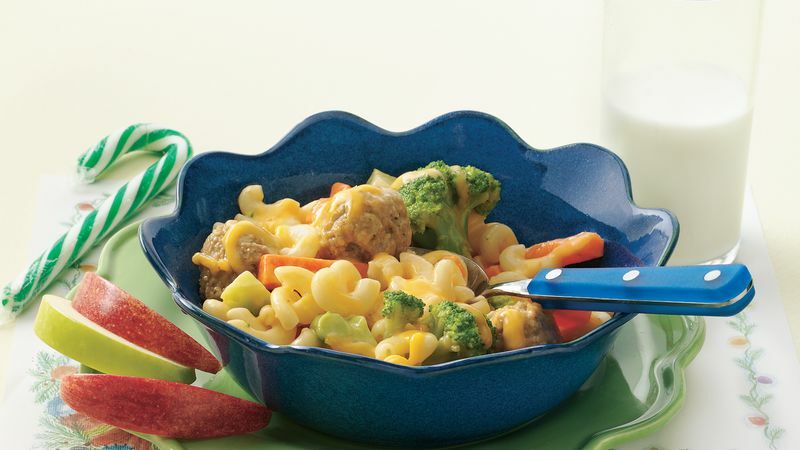 Stir in frozen vegetables with sauce chips and meatballs. Reduce heat to medium; cover and cook 11 to 13 minutes, stirring frequently to prevent sticking, until sauce chips are melted. Stir in Cheddar cheese until melted.